Brazil is a country with one of the most beautiful places in the world with thousands of tourists making their way here every year. The country is also known for its tropical rainforests and cultural tourism with the main destinations for international tourists being Rio de Janeiro and São Paulo. If you are interested in taking a trip overseas and have decided with Brazil, these are two of the best places to enjoy your travels, especially if you like taking trips to places with natural wonders untouched by mankind like the rainforests of Brazil or the uninhabited islands in the waters around Brazil. 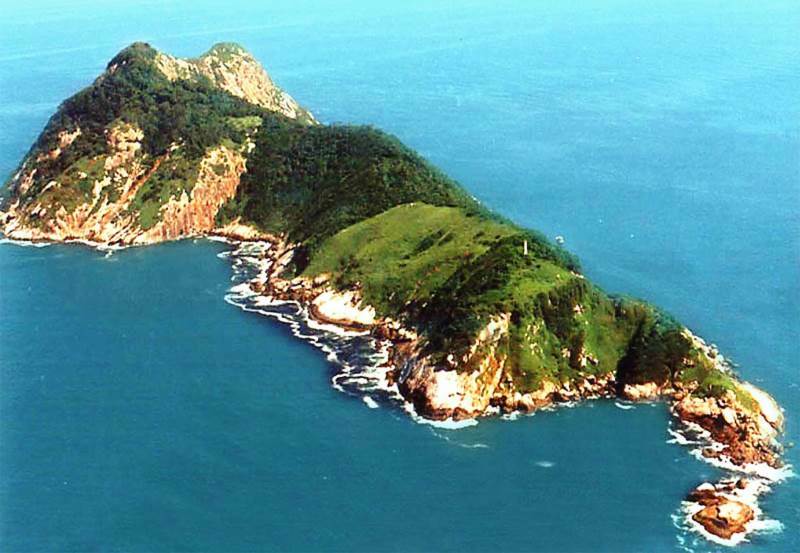 One place that is virtually untouched by mankind after all this time is an island 21 miles off the coast of the state of São Paulo called Ilha de Queimada Grande, better known as the infamous Snake Island. Snake Island is a small island of approximately 110 acres that is home to over 430,000 snakes. It is said that the island was once connected to the mainland but due to rising sea levels, the island was disconnected from the mainland, allowing a number of species of snakes to evolve. These snakes include a number of venomous species with between 2,000 and 4,000 being the highly venomous Bothrops Isnsularis, commonly known as the Golden Lancehead. This snake is said to be one of the most poisonous snakes in existence today with its poison more than 4 or 5 times more deadly than its mainland brethren. This highly fatal poison is able to melt through human skin and flesh. Bothrops Isnsularis or the Golden Lancehead is a venomous pit viper species that is only found on Snake Island with its underside being light yellowish brown (golden) in color. The term Lancehead comes from the shape of its head which is distinctive of all Bothrops species and can grow to a maximum length of 46 inches. Unfortunately, due to the low population and other factors, this snake species has been listed as Critically Endangered by the IUCN. 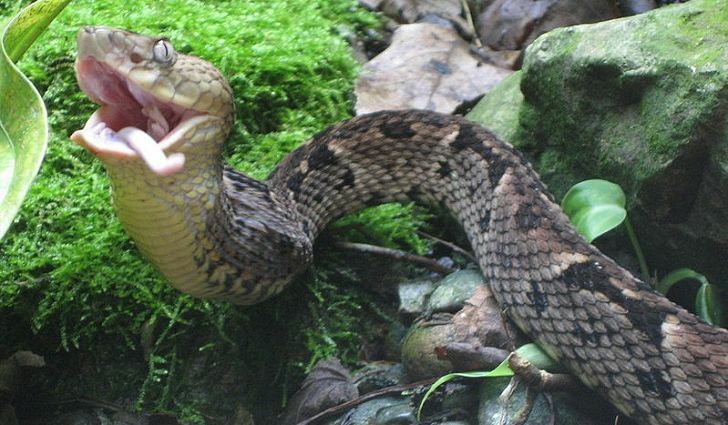 The death toll on humans from this snake is a 3% mortality rate with treatment and 7% without with its venom capable of melting flesh and tissue while containing a deadly neurotoxin that kills quickly. What Makes Snake Island So Dangerous? 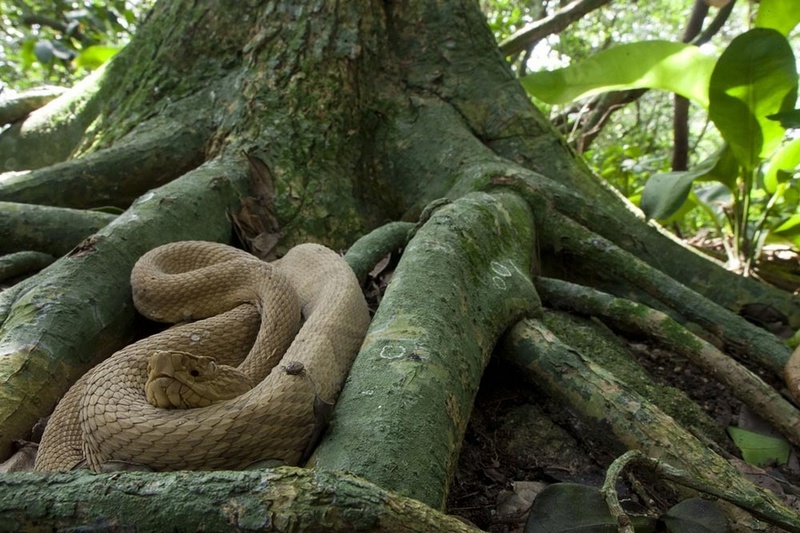 If you calculate the number of venomous snakes on the island to the size of the island, you get a snake density of one snake per square meter. That means that if you enter this island, you are not even a few feet away from death at all times. Snake Island is not a place you want to visit or are even allowed to visit because the Brazilian government has forbidden civilians to enter the island because of the risks involved. The only exceptions to this order include Navy personnel who visit the island to maintain the automated lighthouse and researchers who study the diverse ecosystem. While Brazil is a great place to visit and have fun, whether you love or hate snakes, Snake Island is one place you should keep off your South American bucket list.